The Manor MRT06 is an unraced, and never finished car that was designed to compete in the 2017 Formula One season. 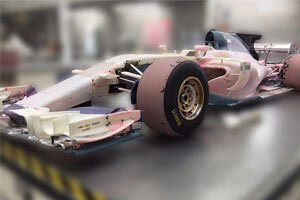 The car, even though two chassis were produced, was never built or assembled completely as the team collapsed in February 2017. 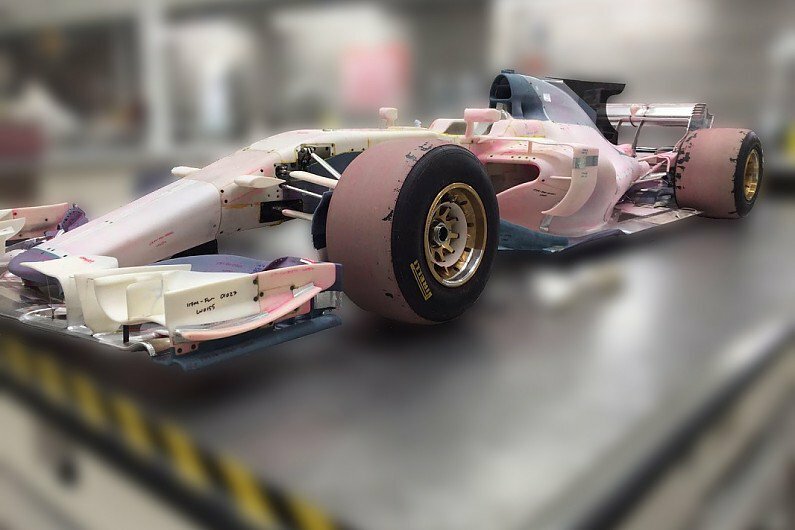 Leaked images of a wind tunnel model and trusted statements from team's employees revealed how the team went about designing a car that complied with the 2017 regulations. The swept front wing, the re-introduction of elaborate barge boards and a redesigned rear wing underlined the team's efforts. 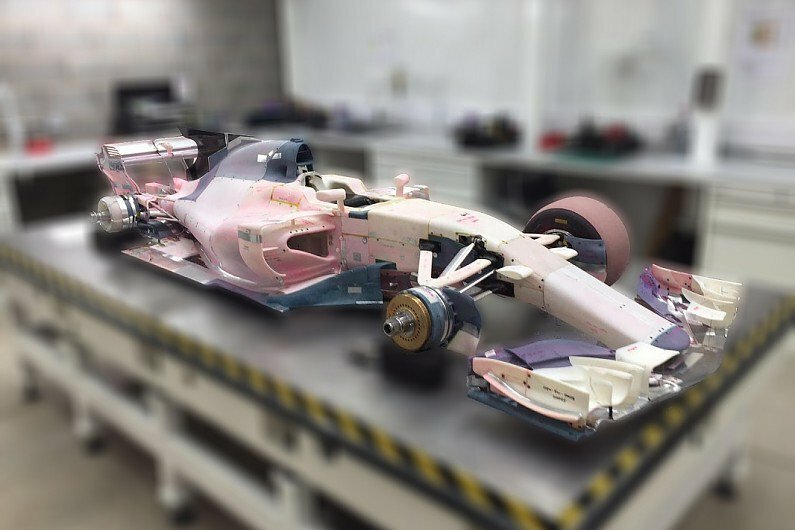 From the constructed chassis, it appeared like the team aimed at using a liquid-air cooler sandwiched between the fuel cell and front face of the engine, following Mercedes' 2014-16 practice. This hardly came as a surprise, as the team was set to continue to use Mercedes engines in 2017. One engineer reportedly also claimed a decision was made to move some of the car's electronic boxes from within the sidepods to this area in order to improve aerodynamic performance potential, and bring more of the car's mass closer to the car's centreline. When early January, the financial issues with the team became ever more real, the team actually also started a process of designing an MRT05B, which would be a cheaper solution for the 2017 season, by modifying the 2016 chassis. It is understood the changes included a revised underbelly and wing pillars for the nose, a revised splitter and plank installation, bargeboards, sidepod upper covers, a new floor, rear wing and revisions to the height of the diffuser. That attempt proved futile as well when the team went into administration in February.